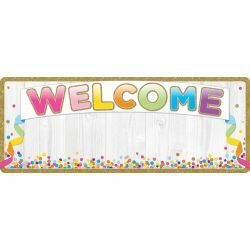 Write-on/ wipe-off heavy duty washable all poly banner, no lamination required. Use with dry erase, water based markers and washable crayons. Great for writing messages & notes to the class. Large 9" x 24" size.